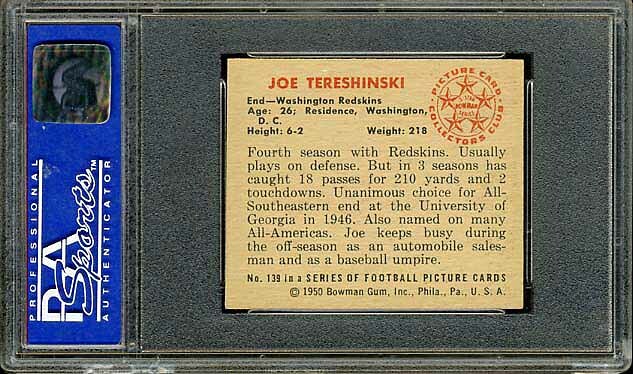 This begins a run of stunning Bowman sets. 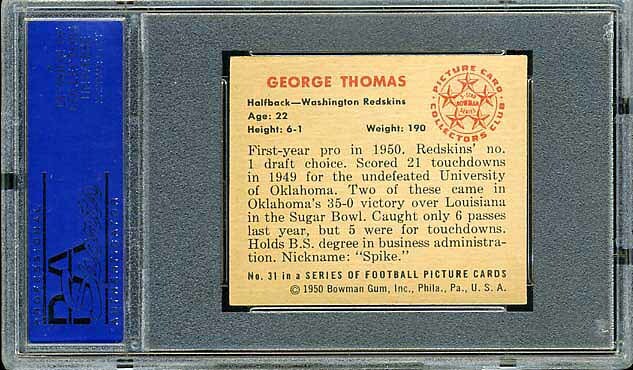 The Bowman sets from 1950-1953 are incredible to look at. 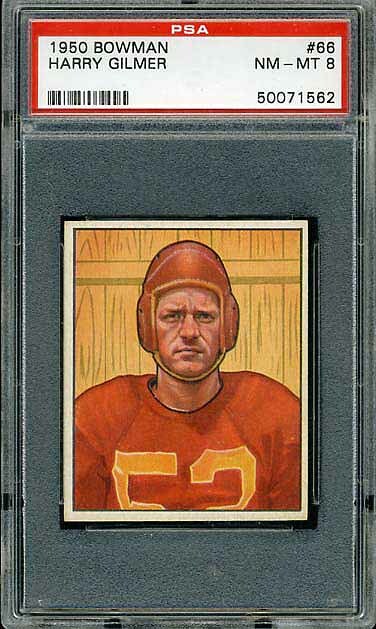 The colors are vibrant and the artwork is well done. 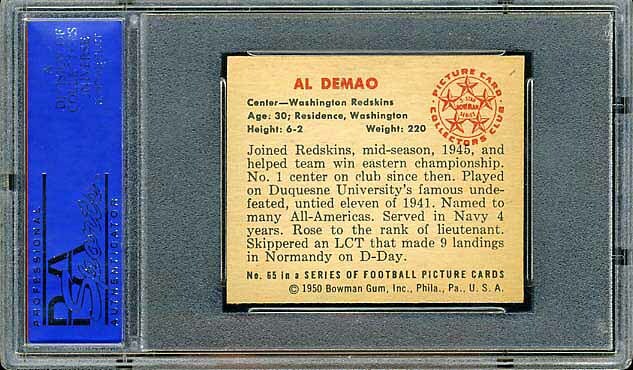 The cards are also remarkably sturdy which is why they have held up so well for nearly 60 years. 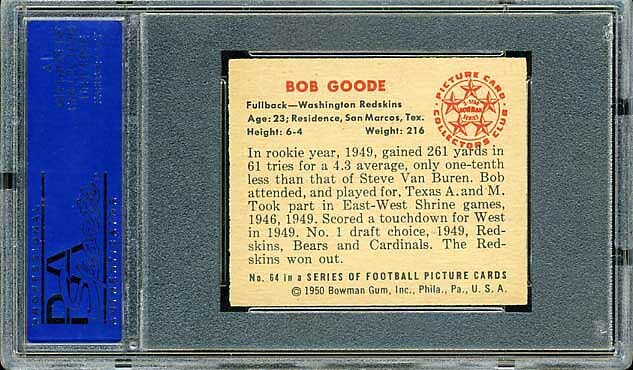 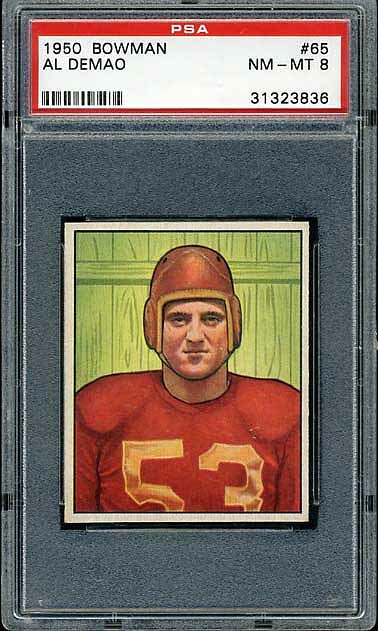 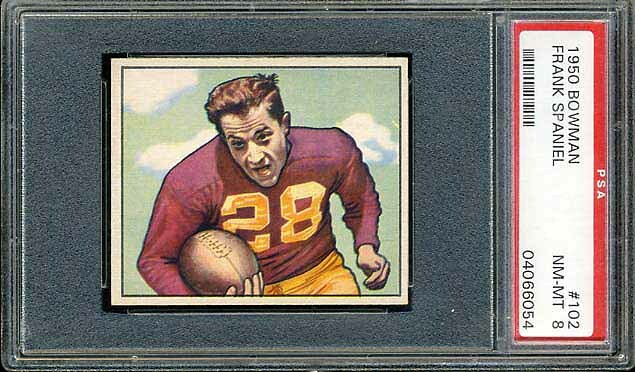 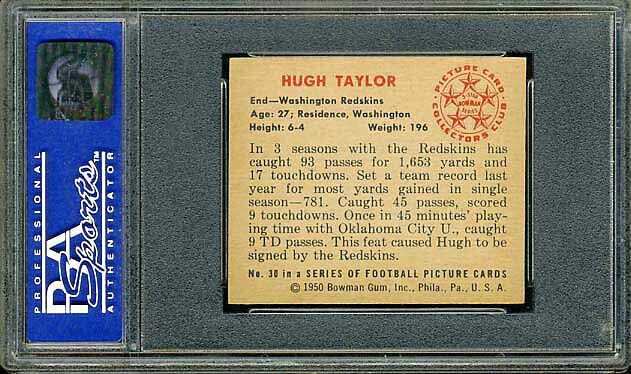 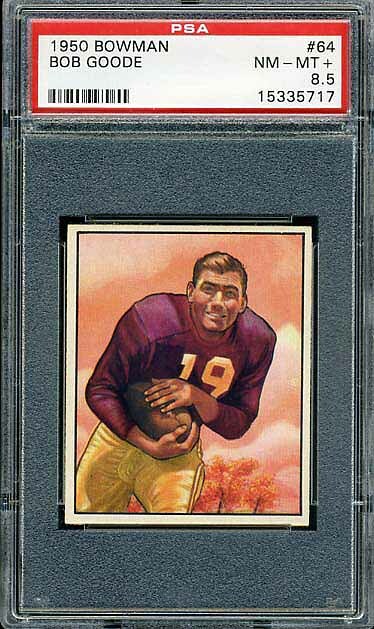 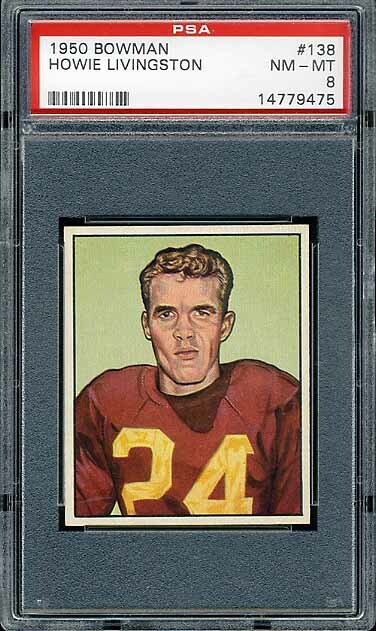 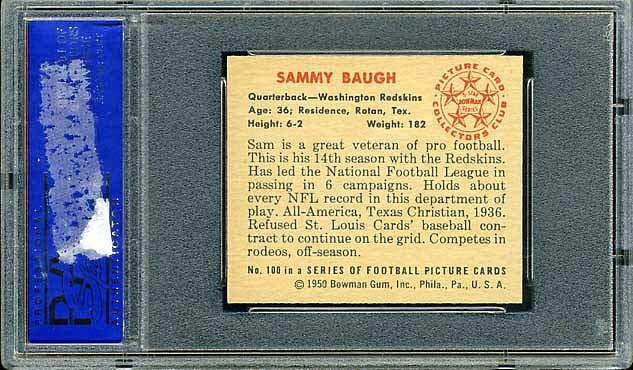 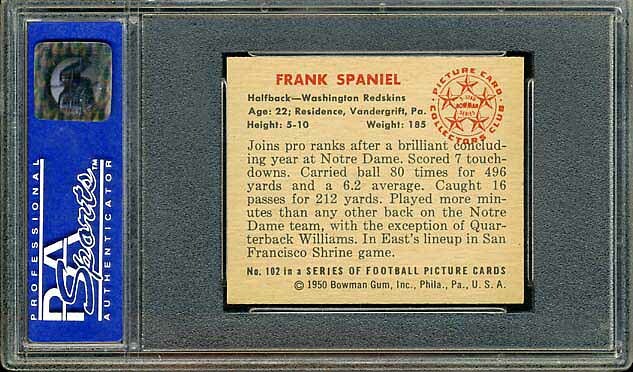 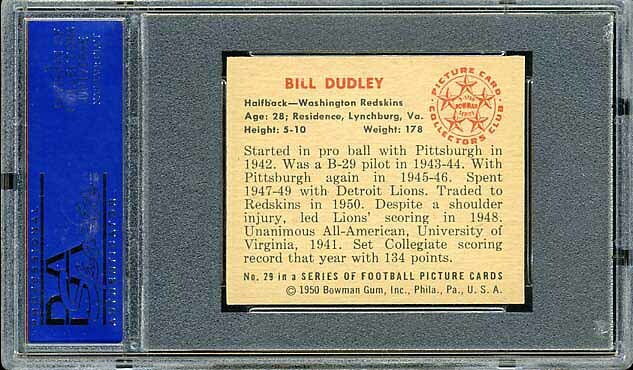 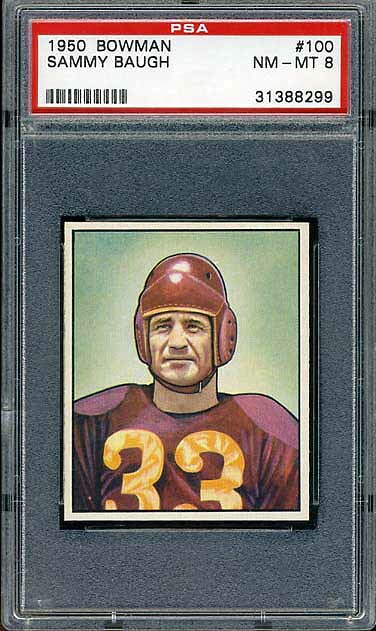 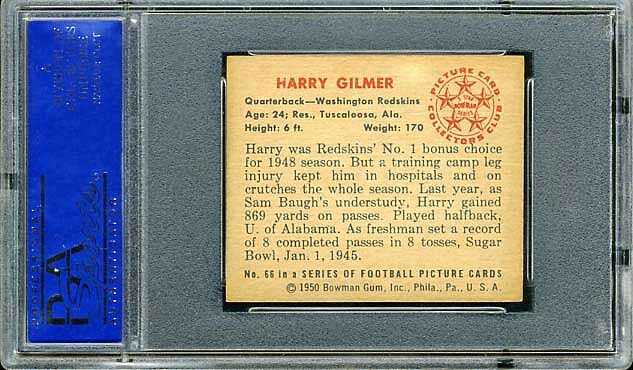 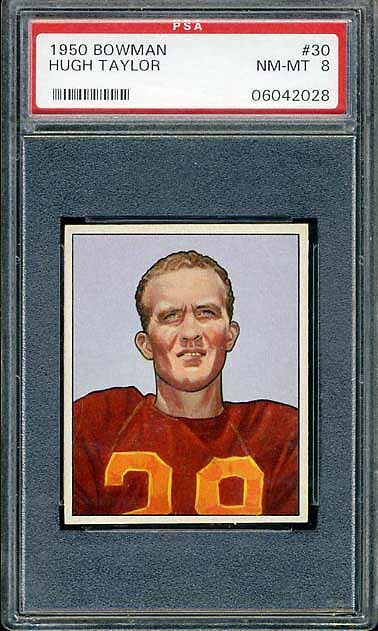 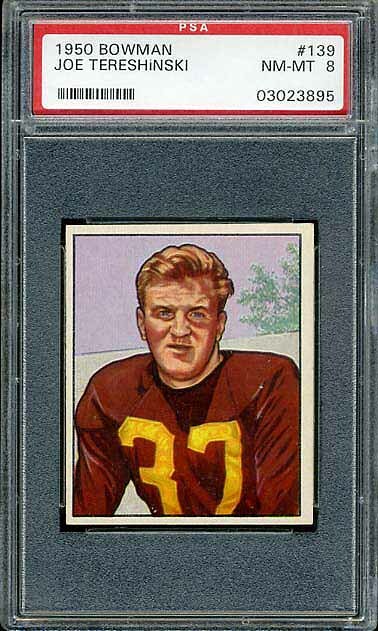 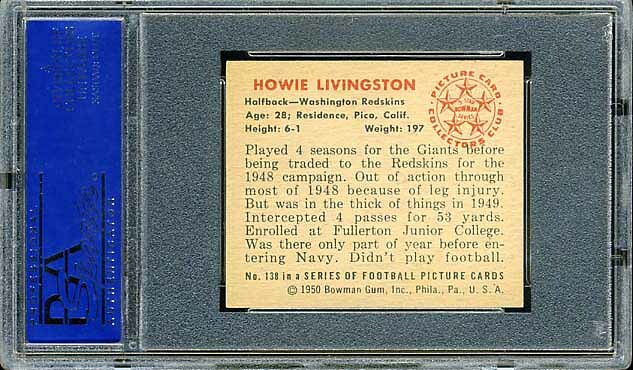 Any Redskins football card collector knows that the Baugh cards from 1948-1952 sets are always the most sought after card in each set. 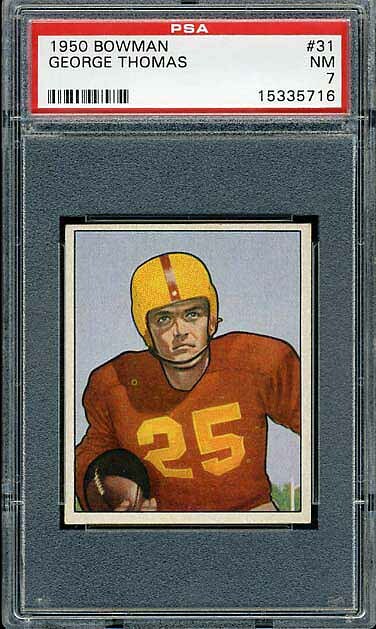 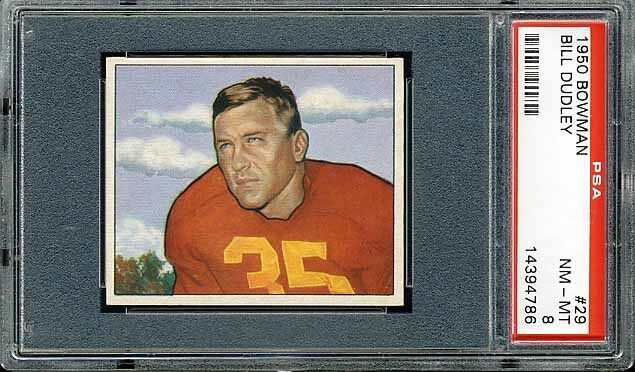 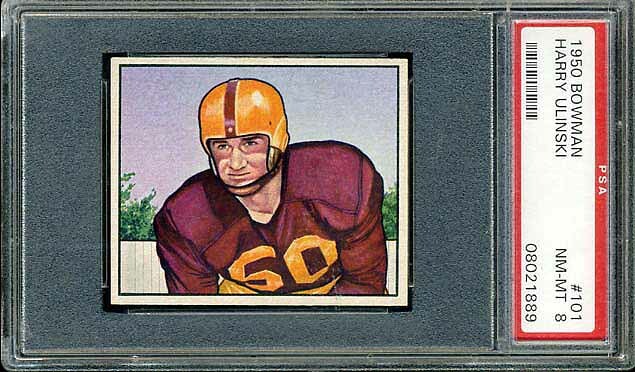 I think that the 1950 Baugh might be my favorite of all the Baugh cards issued. 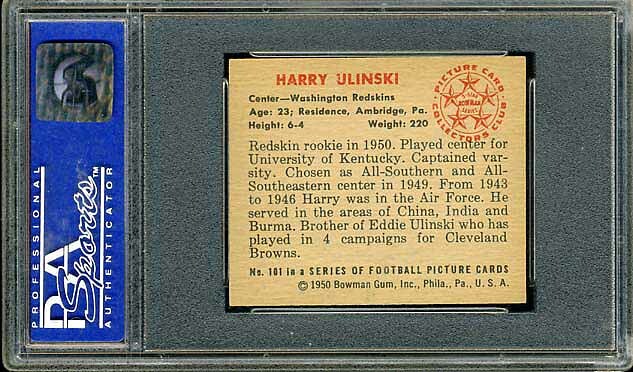 The full Redskins team set appears below.